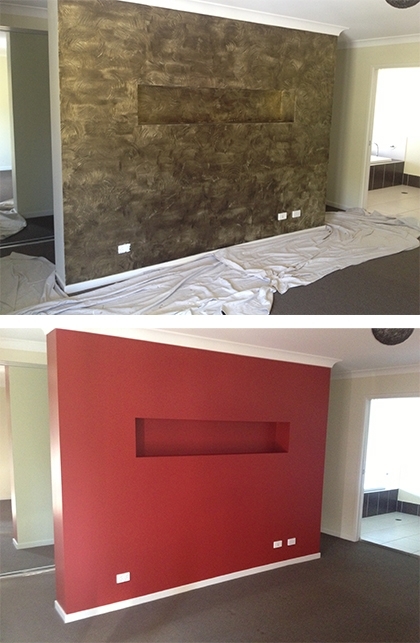 In this before and after shot the owner did not like the brown arty look of the existing wall. We went for a more modern look. 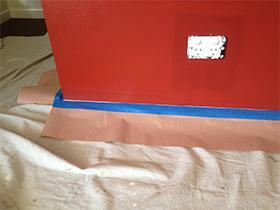 The wall was sanded, filled, floors drop sheeted and skirting taped and finished in a modern new red.